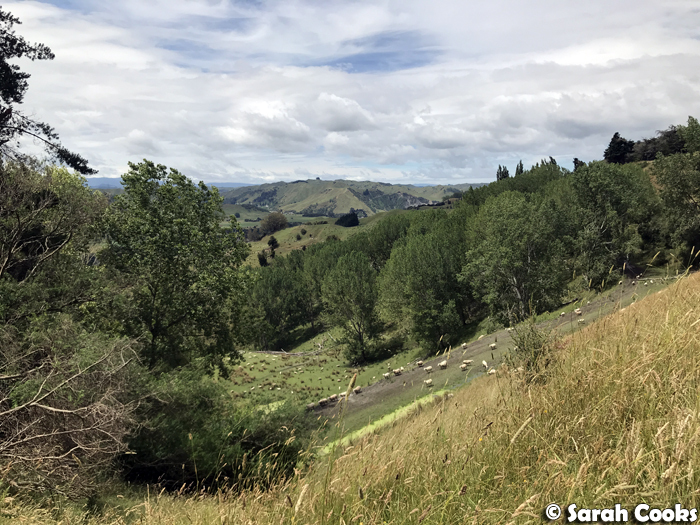 Back to the New Zealand trip! 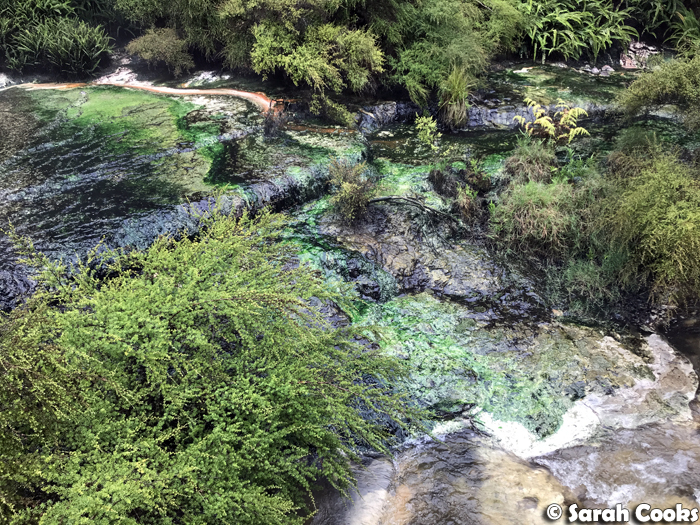 Today's post is about Taupo. 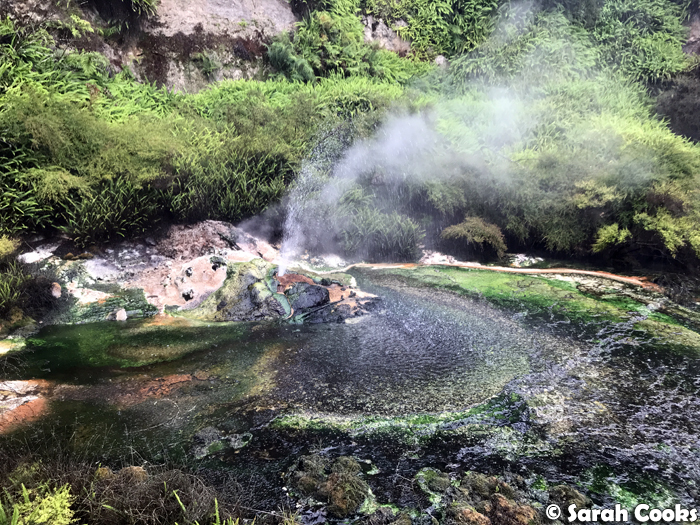 Well, technically it's about the sights on the way from Rotorua to Taupo, a tiny bit of Taupo itself, where we spent one night, and then about the drive from Taupo to Wellington! So! 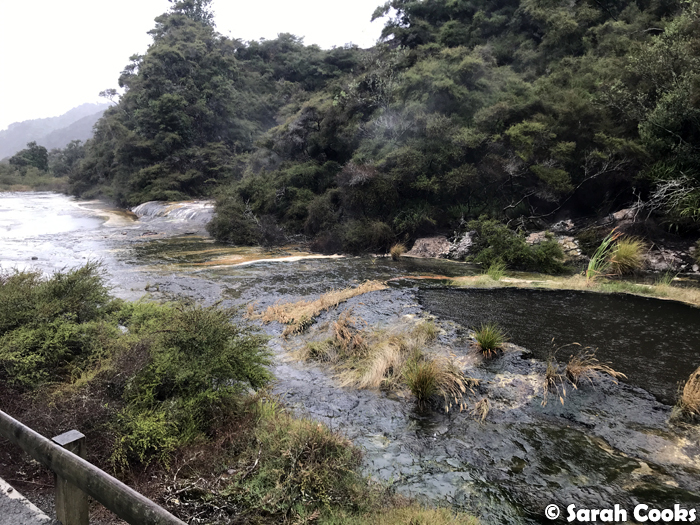 From Rotorua, we drove to Taupo. 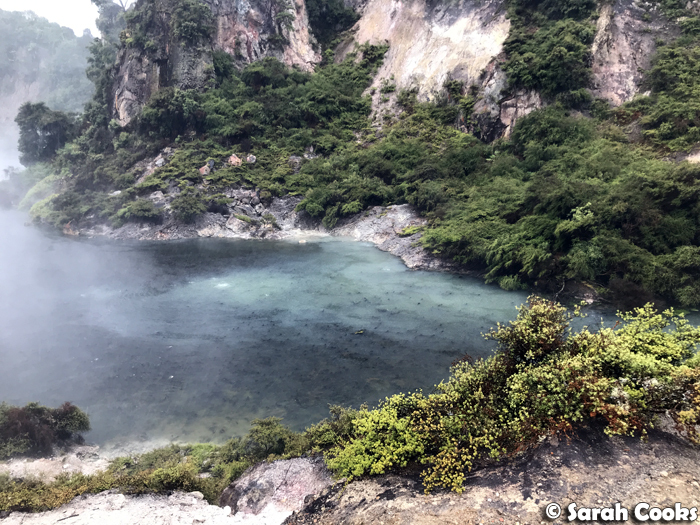 Our first stop on the way was the beautiful Waimangu Volcanic Valley geothermal park, a protected scenic reserve on Lake Rotomahana, with many interesting geothermal features like steaming volcanic crater lakes. 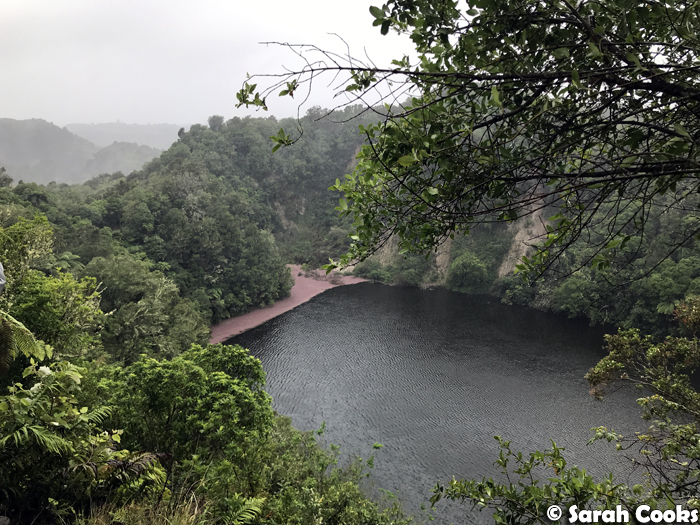 There are a few different options for exploring this area; we chose a two hour self-guided walking tour of "Waimangu Highlights". 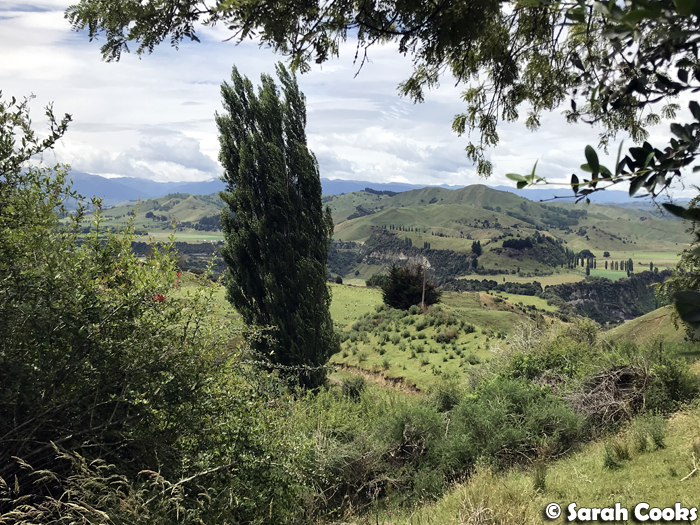 The walk itself isn't too challenging, but you do need a reasonable level of fitness, good mobility and proper closed-toed walking shoes with treaded soles. The more difficult Mount Haszard Hiking Trail was closed on our visit due to inclement weather. And speaking of weather - it wasn't just inclement, it was totally crap! (Scheißwetter!, as we exclaimed numerous times throughout the walk). It was freezing cold, windy and rainy. 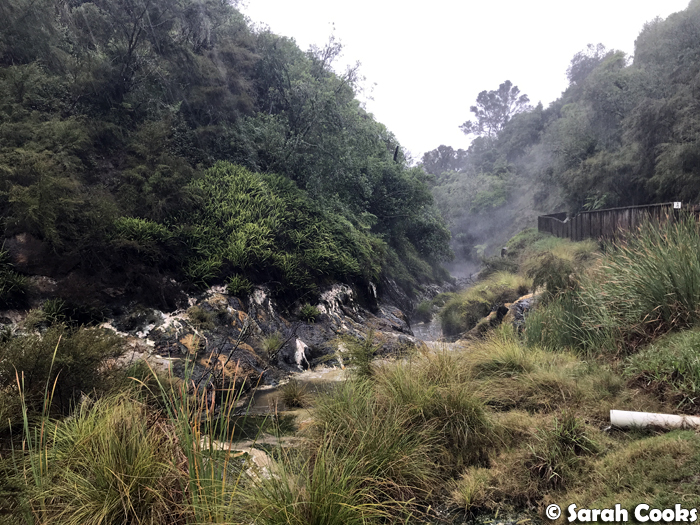 But, this was our only opportunity to visit the Valley and some of us (not me) were super excited about seeing it, so we all donned our rain ponchos that we bought at the gift shop (best $5 I've ever spent) and powered on through. 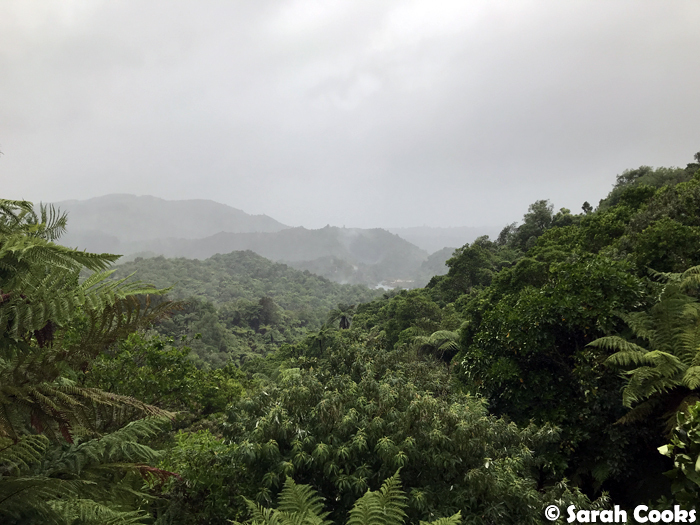 It wasn't the most glorious day, and we were soaked to the bone by the end, but I'm glad we still did the walk - it was beautiful and we saw lots of cool stuff. Here are some photos. (Lots). We joked that we'd taken the in-laws to see Hobbiton, now it was time for Jurassic Park! 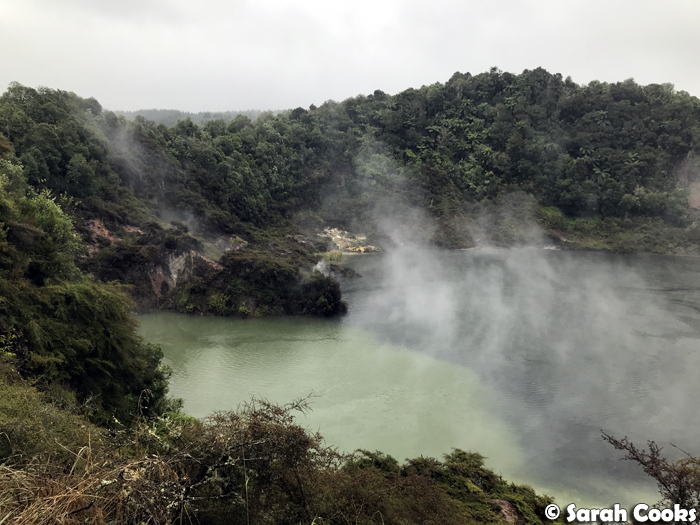 After the Waimangu Volcanic Valley, the plan was to visit Wai-o-Tapu, a thermal wonderland with a geyser, mud pool, and geothermic park. Unfortunately, however, due to the heavy rains and strong winds, they had to close it for safety reasons. This was disappointing as we were really looking forward to it! But, safety first. 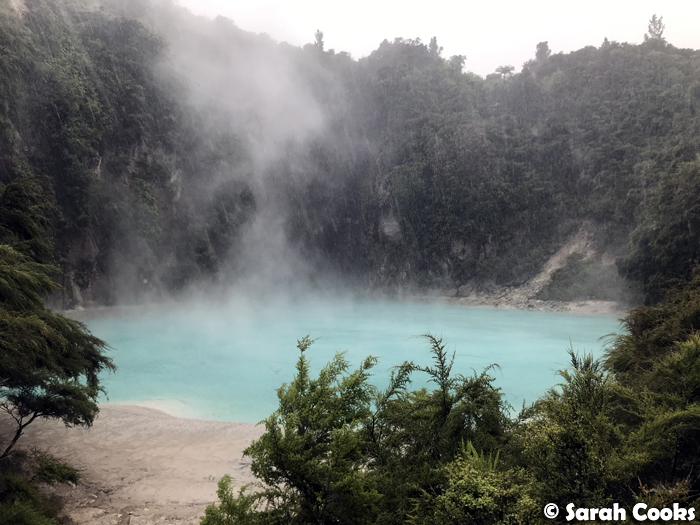 I guess it's just another reason to come back to New Zealand! 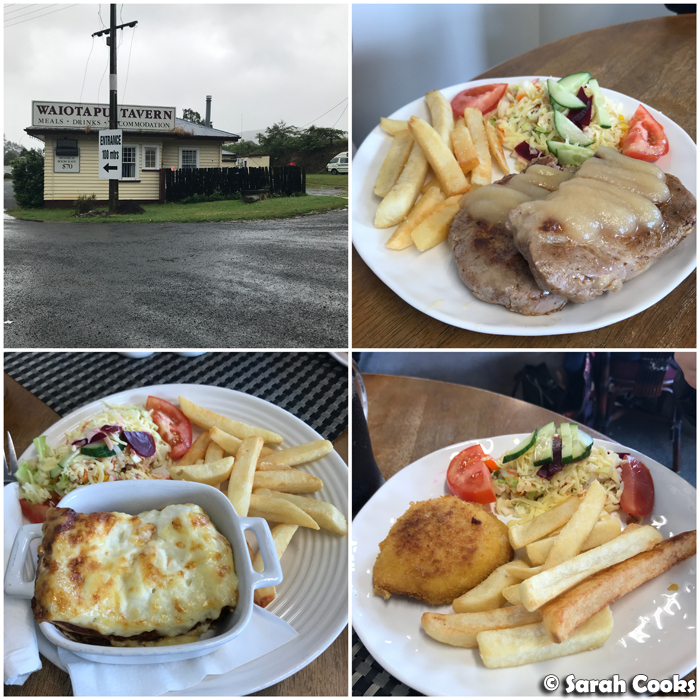 It's a pretty remote spot, and there weren't many options for food, but some of us were cold and hungry and grumpy (yup, that was me), so we went for lunch at the nearby Waiotapu Tavern (2476 State Highway 5, Waiotapu R D 3 3073). This is a low-cost accommodation and pub which, I gotta say, was pretty dated and had some serious Bates Motel vibes going on. I wasn't expecting much from the food, but I was pleasantly surprised - it was exactly what I needed. My lasagne, chips and salad (with grated cheese!) was warming and delicious and I practically inhaled it. The family's other choices of pork chops and cordon bleu chicken schnitzels weren't quite as good - they'd clearly come straight out of the freezer - but they were tasty enough and did the trick. 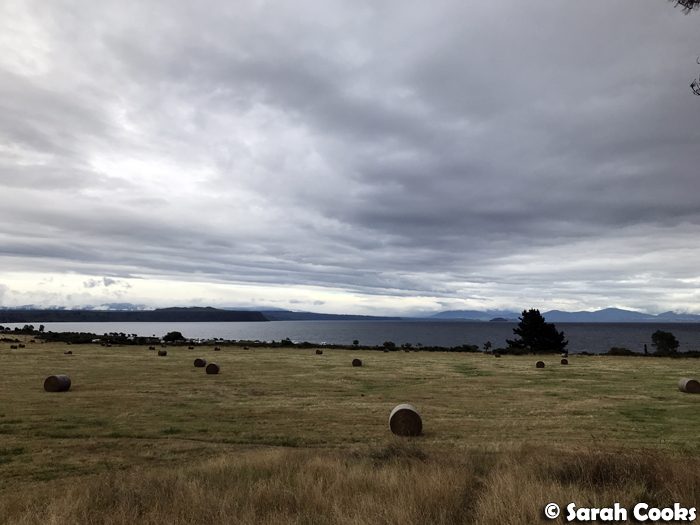 After lunch, we drove into Taupo, where we checked into our accommodation and could finally (finally!) change into some nice dry clothes. Yay! 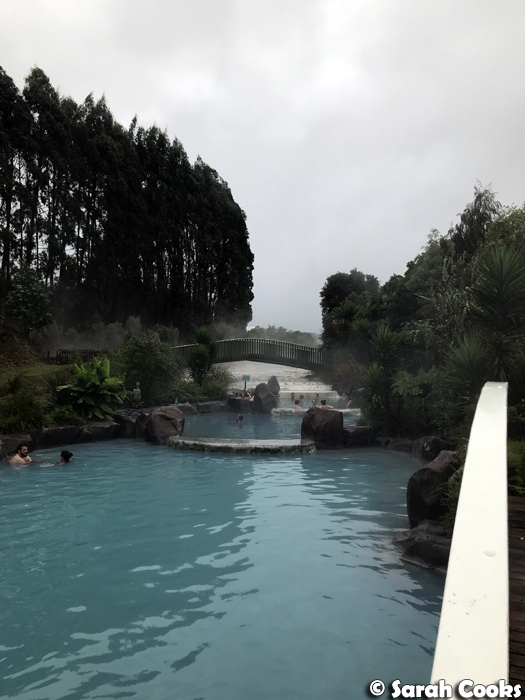 Once we'd settled in, getting warm was our next priority, so we hightailed it to Wairakei Terraces, a health spa with natural hot thermal pools. It was so wonderfully relaxing (what a contrast to the start of the day! ), and the waters are apparently full of good-for-you minerals. Our skin felt so lovely and soft afterwards! We were quite tired after the adventures of the day, so got some takeaway and had it at the accommodation. 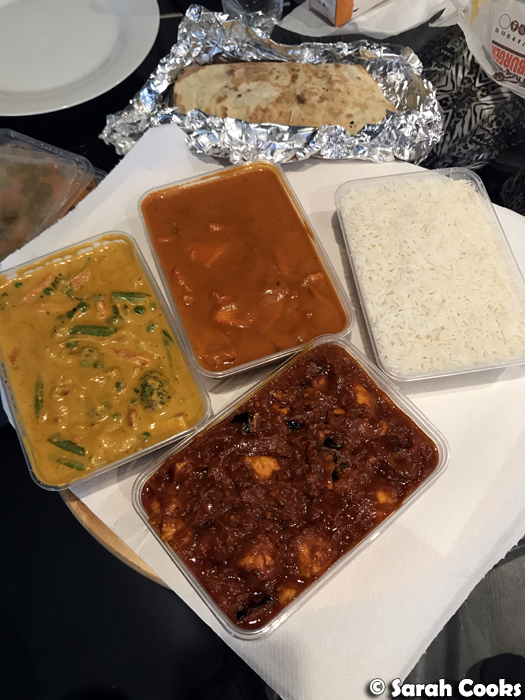 Online research led us to Master of India (47 Ruapehu St, Taupo 3330), a super popular restaurant in town. It was chock-a-block full, with a steady stream of takeaway orders going through while we were waiting for ours. I can see why it's so popular - the food was great! 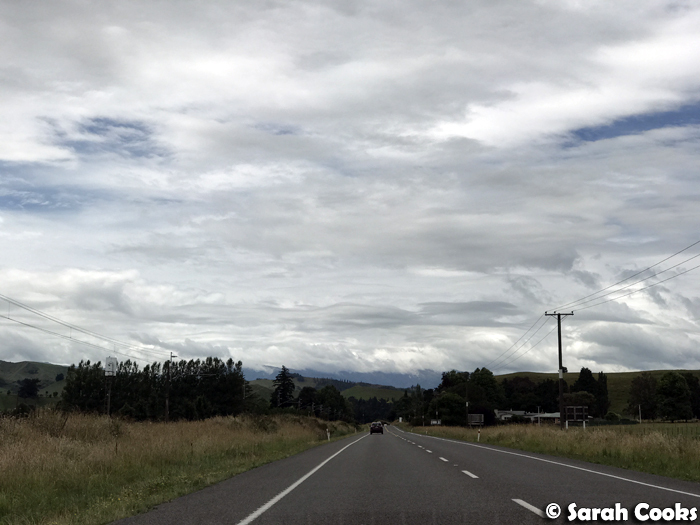 The next morning was a huge day of driving, from Taupo to Wellington. It's 372 kilometers, or almost a five hour drive! Phew! We started early and took lots of little breaks along the way. 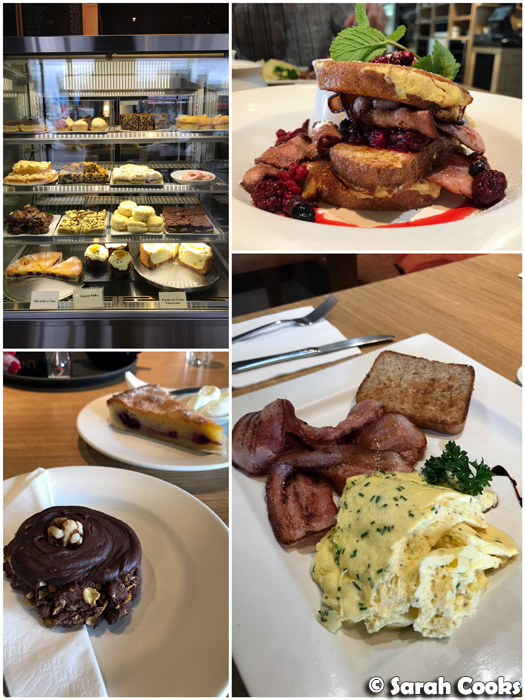 We fuelled up with a hearty breakfast at a great little cafe in town: Piccolo Cafe (41 Ruapehu St, Taupo 3330). They do coffees, cooked breakfasts and lunches, and have a great range of cakes and pastries, which look to be made in house. 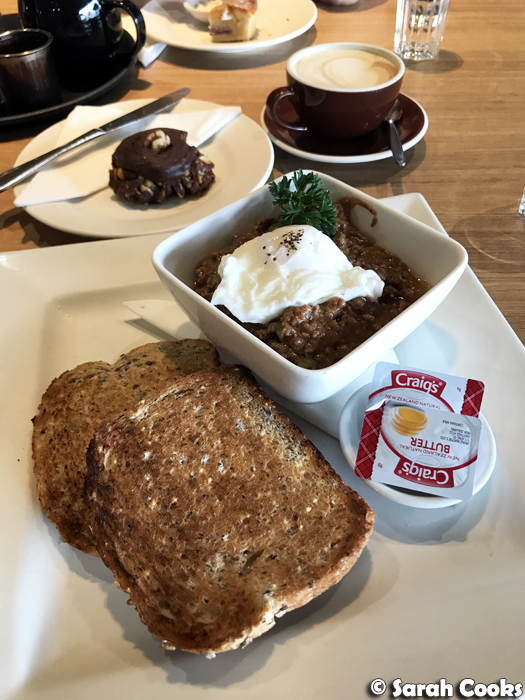 I finally tried the Kiwi specialities of mince on toast (spoiler alert: delicious), and an Afghan biscuit (a chocolate cornflake biscuit with chocolate icing and a walnut). From there it was just a big day of driving driving driving, all the way south to Wellington! I thought it might be a bit boring for the in-laws, but apparently the drive was a highlight of the trip for my father-in-law! 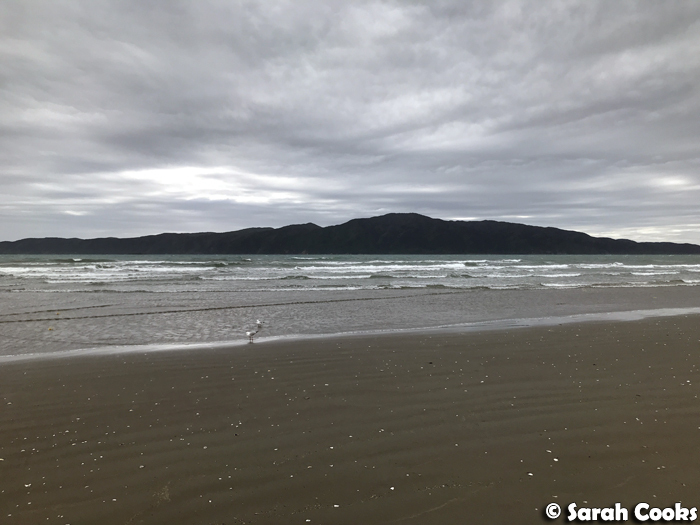 He loved looking at all the changing scenery, and said it was like the New Zealand that he'd seen in movies and on TV, that he'd travelled all this way to see. And then we finally got to Wellington! Hooray! Our AirB&B was incredible and I can't wait to tell you all about it... but that's going to have to wait for next time! Ahh it's a beautiful part of the world! I bet it felt amazing to change into warm, dry clothes. It still looks gorgeous though. Omg yes, putting on those dry socks was heavenly!